This book is absolutely brill! This is one of the best books I’ve ever read.It’s just great to read about somthing that you see and somtimes feel in everyday life. It almost makes you feel like your not alone. This book is sooooo good. i love it. I like the way Ms Cassidy starts her books off, hence the novel sort of comes alive. I am starting to read Ms Cassidy’s books, and so far they have been beyond amazing. 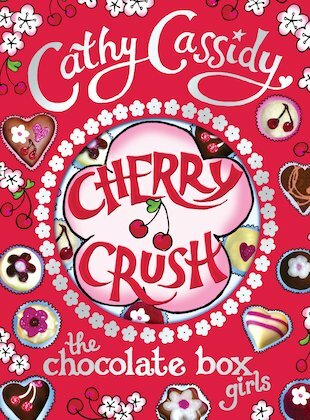 However ‘Cherry Crush’was not really for me, I guess it was because I was kind of rushing the book :P, but I did like if YOU are going to read this book take your time enjoy it. In addition at the back it has theses cool recipes.